This list is updated frequently. 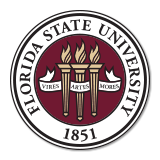 If you notice a missing publication or have inquiries about our faculty research, please contact ashlee.barrett@fsu.edu. 17 Personal and Cultural Identity Development in Recently Immigrated Hispanic Adolescents: Links With Psychosocial Functioning Meca A, Sabet RF, Farrelly CM, Benitez CG, Schwartz SJ, Gonzales-Backen M, Lorenzo-Blanco EI, Unger JB, Zamboanga BL, Baezconde-Garbanati L, Picariello S, Des Rosiers SE, Soto DW, Pattarroyo M, Villamar JA, Lizzi KM.